I am very active in the Android community, blogging and speaking and sharing code, but I can only do so much as one person. To scale my efforts, I mentor others to do the same, which aligns with the goals of Write/Speak/Code exactly. For speaking, last year I met fellow Android developers Yash Prabhu and Danielle Vass at Write/Speak/Code, and I am delighted to see them start their speaking careers shortly afterwards. Besides mentoring, I took the opportunity of being surrounded by amazing women to level up my own career as well. One of my 2016 speaking goals is to give a keynote, and during Write/Speak/Code I brainstormed and refined a topic that I am super excited about: The State of Android Testing. I'd love to hear your Write/Speak/Code story. 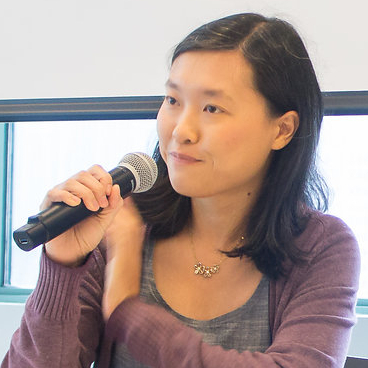 Did you get started on writing, speaking or open source because of it? Let me know! We all know testing is good for you, but it is very overwhelming. What is a unit test? What is an instrumentation test? Espresso, Robolectric, Mockito… what do all these libraries do? More fundamentally, why should I test? I'd like to give a keynote talk to answer all these questions. Do you know a conference that would be interested? Perhaps Droidcon NYC? I first heard about live streaming when I watched Dina Rodriguez hand lettering on Twitch. But I wasn't sure what to do in front of a live audience, so I didn't do anything about it until I met Liam Spradlin at Google I/O. He started streaming after watching Dina, and encouraged me to try it, giving me lots of practical tips. 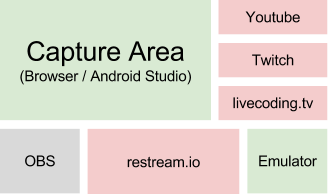 There was a lot of code labs announced at Google I/O, so I thought, hey I want to do them anyway, why not live stream too? OBS, Open Broadcaster Software. Free, available in Windows, Mac and Linux. My monitor resolution is 2560x1600, and I cropped the Display Capture to 1920x1080 so get the 16:9 aspect ratio. I popped out the chats from the 3 services so I can monitor them, but put them outside of the capture area so my audience won't see them. I put the emulator outside as well, and declare it as a source in OBS so it is always visible, even when I type in Android Studio. If I want to hide it, I move it down in the list of sources in OBS. The last source is my webcam. I cropped it to a square. The emulator source is in the top right, and the webcam source is in the bottom right. Click "Start Recording" in OBS to see what it captures, and adjust the microphone, webcam etc as needed. Set up the channels in restream.io, and copy the stream key to OBS. For each channel, set up archiving on the site itself e.g. YouTube. Increase the font size of your browser and IDE. Try out a little bit whatever you plan to do while streaming. I was going to stream from my Linux box, but couldn't get the Android Wear N Preivew emulator going, so I had to switch to my Mac. Advertise multiple times before the live stream, and once again after you have started streaming. Keep an eye out on the chat windows when you stream. Live stream is much less fun without audience interaction! I say my reply out loud, but type links into the chat window so people can click on them. I trimmed the video to skip the initial part when I'm setting things up and waiting for people to show up. People seem to like it! I'll try to stream once a month. I'll be announcing them on Twitter, and you can also subscribe to our YouTube channel to get notified of the recorded videos. I missed the Advanced Espresso talk at Google I/O this year because it was at the same time as Building rich fitness experiences with Google Fit platform and Android Wear, where Fit Cat was featured. Finally got a chance to watch it at home, and wow, lots of good tips and tricks! According to the talk, it's preferable to set the state of the idling resource once, and call the idle transition callback when the state changes to idle. A good example is CountingIdlingResource, in the decrement function. Caused by: java.lang.IllegalStateException: Resource com.sqisland.espresso.idling_resource.intent_service.IntentServiceIdlingResource isIdleNow() is returning true, but a message indicating that the resource has transitioned from busy to idle was never sent. So it's seems like I must call the callback. From the doc, it seems harmless to call it multiple times, so I'm going to leave my querying idling resources as is. For idling resources that query the state in isIdleNow, there is no need to call the idle transition callback. See IntentServiceIdlingResource for an example. Try to avoid it, but if you need some time to pass in your test, do not call Thread.sleep or SystemClock.sleep. Instead, use UiController.loopMainThreadForAtLeast. You will need to make a custom ViewAction to get access to the UiController. Note: Not to store the UIController outside the ViewAction, because it may not be valid any more. (12:10) Do not copy and paste between tests. Create helper functions. (13:35) Use available Matchers. Write your own only if necessary, with TypeSafeMatcher and BoundedMatcher. (15:54) Change IdlingPolicy if the defaults are too short. 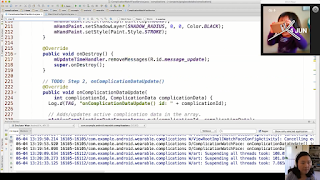 (16:35) Focus on testing behavior, not layout properties. Use position assertions e.g. isBelow if you must verify layout. They are relative and easier to maintain. (17:35) Write many small tests rather than large ones. (18:44) Launch directly into desired screen and state with intents. (19:56) Most UI tests should be as hermetic as possible. 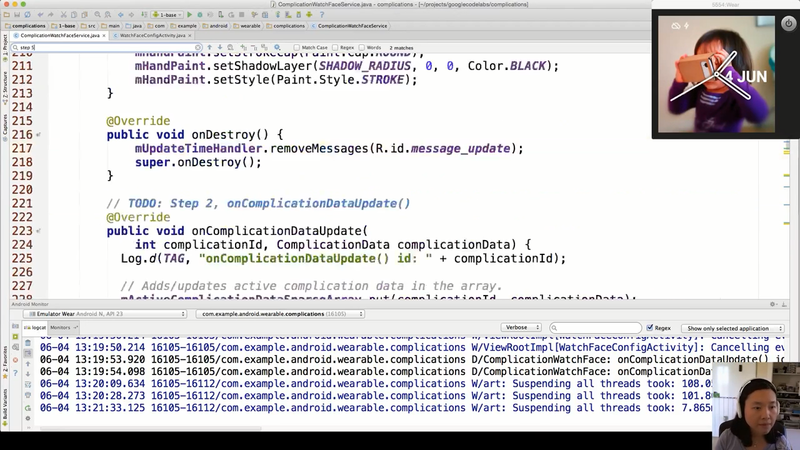 (20:37) Use Espresso Intents to intercept Intents that launch external apps. (21:19) Learn how to run long running animations. Read ANIMATOR_DURATION_SCALE from system settings and disable that in your app when it is zero. Show surface updates from Developer Tools to see hidden animations. (24:00) Implement your own FailureHandler if you want to log extra information when your test fails. Thank you Wojtek Kaliciński for the informative talk!